I had been to Tampopo a few times already. It used to be at the basement of Liang Court. 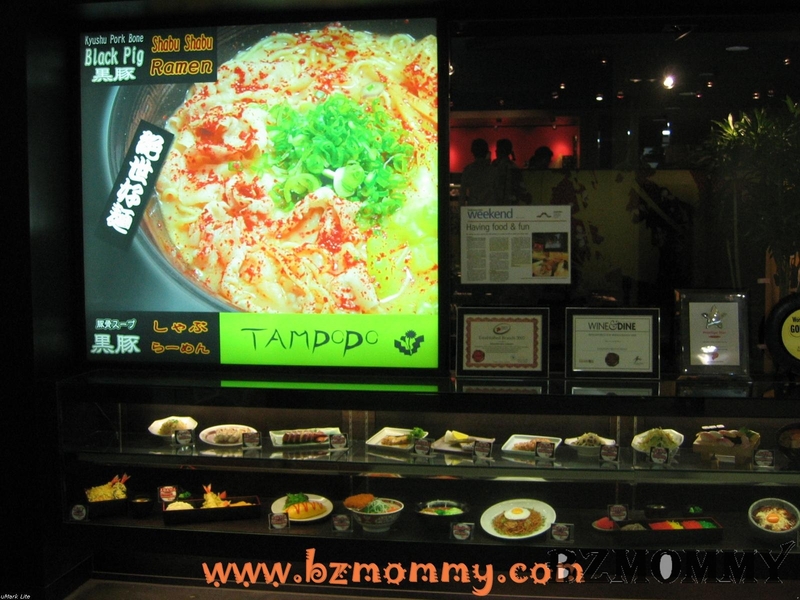 This is the 1st time I visited Tampopo at its new location. They had shifted to the 1st floor of Liang Court. The new restaurant is bigger and somewhat looks better designed than before. I didn’t know that Tampopo is also the name of a movie. A Japanese comedy! Dear ordered the Black Pig Shabu Shabu Ramen and I ordered the Kyushu Ramen. The meat in the Shabu Shabu Ramen was delicious! 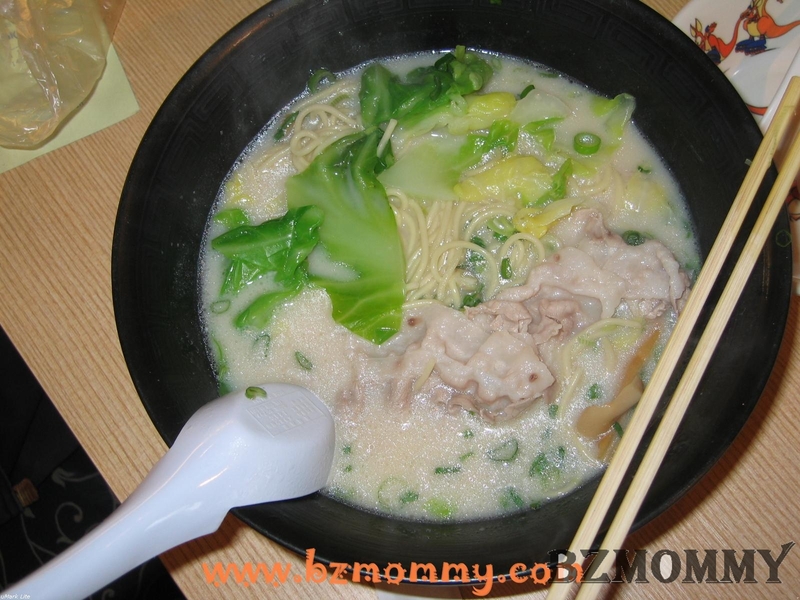 As for the Kyushu Ramen, the cha siew was soft and when I bit it, the meat melted in my mouth. Shiok! Shabu Shabu Ramen on the top and Kyushu Ramen at the bottom. What I like best is the egg inside the ramen. The egg is hard on the outside, but the yolk is very semi-cooked. If you eat it once it’s served (when it’s hot), the egg is super nice! If you eat this kind of egg for the 1st time, you will start to wonder how they are able to make such eggs. Heh.. I am not a cook, so if anyone knows how to do this, kindly share? If you want extra cha siew or eggs, you can order them as side dishes too.